« Get Firefox 3 Now! New Opera 9.5 Is Here Too! I’ve just upgrade my Opera web browser. What about you? 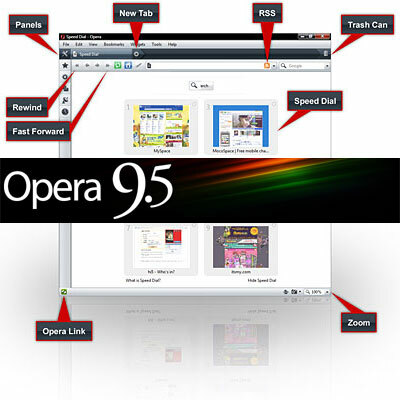 In fact, Opera 9.5 was released on June 12, 2008, a few days before the release of Firefox 3. Within the first 5 days of this new version available, Opera 9.5 has received more than 4.7 million downloads. Pretty impressive I would say, but it’s just about half of the download total Firefox 3 received in 1 single day! The total download for Firefox is now surpassing 11 millions downloads worldwide. I love Opera too and usually I will switch in between Firefox and Opera while surfing. Both web browsers are great, no doubt about it. Now the question is since both Internet Explorer’s competitors already released their latest versions respectively, when do we see the next major version release of Internet Explorer (IE)?